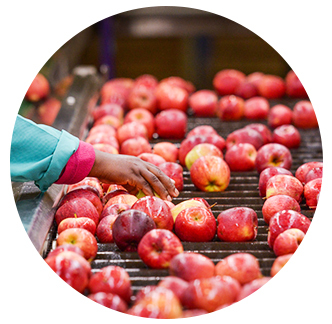 Ceres Fruit Growers One of SA's largest apple and pear packing and storage facilities. We pack and market many different varieties of apples and pears including registered brands such as Kiku®, Royal Beaut® and Pink Lady®. Of these, Forelle, Rosy Glow, Pink Lady® Golden Delicious, Royal Beaut® and Cheeky are special to our region in terms of colour, sweetness and highest pack outs.